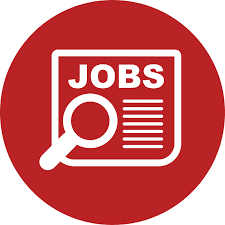 Innovations for Poverty Action (IPA) is currently seeking applications from eligible applicants for the post of Human Resources Associate in Dar es Salaam, Tanzania. The Human Resources Associate will report directly to the Country Director, and will consult closely with the HR team at IPA's Headquarters in the United States. IPA is a research and policy non-profit that discovers and promotes effective solutions to global poverty problems. Maintaining the local employee benefits programs and inform employees of benefits by assessing benefit needs and trends; recommending benefit programs or changes to the labor law to management; directing the processing of benefit claims, including ensuring that statutory returns (Pension, Workers Compensation Fund, HESLB) are made in a timely fashion. Determine and recommend employee relations practices necessary to establish positive and collaborative work environment. Ensure that third party contracts, cooperation agreements, and MOUs are properly prepared, reviewed, approved, filed and updated. Assist timely renewal of medical, accident, and property insurance policies as per the need and decision of Management. Complete the J-PAL/IPA common application. After completing a brief registration, choose the Finance and Admin job category, then select 'Human Resources & Administration Associate'. Applications require a statement of purpose (cover letter) and CV. Innovations for Poverty Action (IPA) is a research and policy nonprofit that discovers and promotes effective solutions to global poverty problems. IPA brings together researchers and decision-makers to design, rigorously evaluate, and refine these solutions and their applications, ensuring that the evidence created is used to improve the lives of the world's poor. In recent decades, trillions of dollars have been spent on programs designed to reduce global poverty, but clear evidence on which programs succeed is rare, and when evidence does exist, decision-makers often do not know about it. IPA exists to bring together leading researchers and these decision-makers to ensure that the evidence we create leads to tangible impact on the world. Since its founding in 2002, IPA has worked with over 575 leading academics to conduct over 650 evaluations in 51 countries. This research has informed hundreds of successful programs that now impact millions of individuals worldwide. Please note that only qualified applicants will be contacted by the hiring manager.